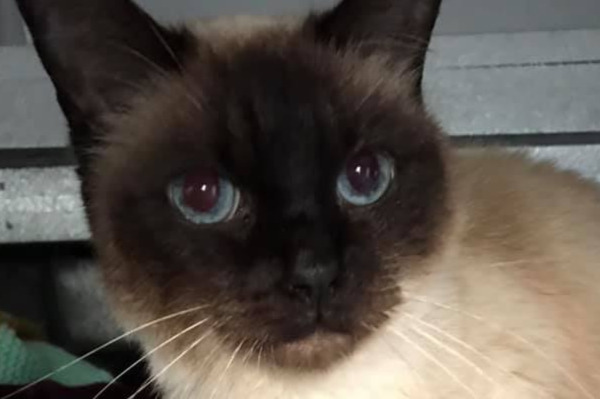 Purrdee came into our care on 22nd January 2019 at approximately 12:15pm as she was booked into a vets to be euthanised at around 2:50pm that same afternoon. The reason given to us for Purrdee to be euthanised was due to starting with loose stools and suddenly toileting elsewhere in the house. Her previous owner only took her to the vets once and was given an antibiotic liquid to be give twice daily for 7 days, upon asking if Purrdee was being given the antibiotic liquid which her owner replied “I've only given it to her twice” within the 5-day period of being prescribed the antibiotic liquid and that it had not helped her. Purrdee's owner didn't want to do any test on what could be causing the loose stools or as to why she was toileting elsewhere in the house as she couldn't afford the costs so would rather have her euthanised. When Purrdee came into our care she was taken straight to our vets for a medical examination as she was also noticeably underweight. Before attending the vets we got a sample of Purrdee urine which was tested at our vets, she had ketones present in her urine. This could be linked to several issues... that she could possible have diabetes, or this could be in relation to her loose stools. Further tests will be needed to find out what is wrong with Purrdee. Purrdee is back at our vets today as she's not been eating much, she's showing signs of being dehydrated, and vomiting. She will be undergoing a general blood test later when she attends our vets which will tell us if she has any underlining medical issues. If the results show that Purrdee is possibly diabetic then she will need further tests carried out to confirm her diabetes as one blood test alone isn't enough to confirm diabetes. Regarding her loose stools if they continue it is recommended that she has a stool sample test done to find out the cause. Sadly all this comes at a cost. As a voluntary rescue we don’t receive any funding from any other organisations or from any shops, this is why we rely heavily on donations. For Purrdee's general blood test it will cost around £80-£90, then if anything is discovered in the blood test more tests in relation to what has been found will have to be done, this can vary hugely in costs depending on what is found, and if she needs a stool sample test this can also cost around £200 for a full screening to be carried out. We didn't want to give up on Purrdee, do you? If you would like to help towards the costs of Purrdee's vet treatment and to help get her on the road to a new life then please help by donating. No matter how big or small, even if it's just £5, it all adds up.